My Bamboo Floors Smell! Are They Toxic? Home › Flooring › My Bamboo Floors Smell! Are They Toxic or Safe? My Bamboo Floors Smell! Are They Toxic or Safe? You’ve carefully selected bamboo floors for your home due to their green benefits, easy maintenance and durability. In fact, you did plenty of research before you ever decided that bamboo floors were the right choice for your home. Now, however, you have a problem: when you open the boxes containing your bamboo flooring, you notice a chemical smell emanating from the boxes. As a result, you find yourself with several questions about your new wood floors–many of which have you decidedly concerned. 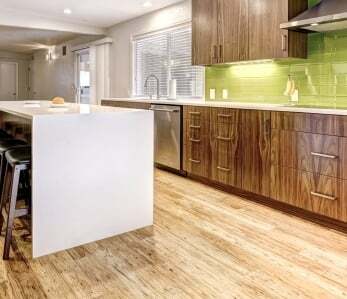 Is the chemical smell coming from my bamboo flooring toxic? Don’t panic just yet! If you just removed the flooring planks from their boxes, what you’re most likely smelling is light off-gassing from the polyurethane finish, which is common for pre-finished floors and usually goes away after a few days. Most pre-finished wood floors come off the finish line and are packaged quickly, trapping the vapors in the plastic wrapping. Does your bamboo flooring supplier ? Are they below CARB Phase II requirements or is your supplier Floorscore certified? If so, you can rest at ease. 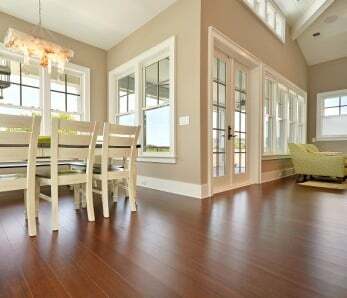 Most high quality bamboo floors meet the CARB Phase 2 standards that ensure that you’re not exposing your body to toxic levels of chemicals. While some clear lacquer and varnishes are known to contain high levels of VOC gases, which are known to be environmentally toxic, your furniture is probably a worse offender when it comes to releasing VOC gases than your floor. Federal law states that varnishes must contain less than 450 grams of VOCs per liter; lacquers can come in at only 350 grams per liter. While these gases are toxic in high quantities, there’s not enough in your flooring to cause problems in most healthy individuals. What symptoms would I see if items in my home were emitting high levels of VOCs? If you have high levels of VOC gases in your home, especially if you’re installing large quantities of flooring or you’ve installed several other gas-emitting kinds of wood at the same time, it’s important to know what symptoms you should look for. Common symptoms may include eye irritation, irritation of the nose and throat, headaches, and nausea. If you start to experience these symptoms while working with your flooring, make sure the area is well-ventilated and take a break from the area for a little while. How can I decrease exposure to VOCs while working with bamboo flooring or after my flooring has been installed? Working in a well-ventilated area while handling your will help the chemical compounds dissipate faster. You can also wear a face mask which will help filter out harmful dust particles. How long will the odor last? I don’t like the way it smells! 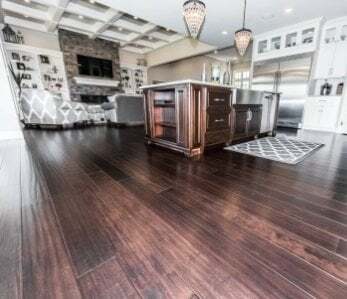 If you don’t like the odor there’s no need to worry as it will decrease noticeably within a few days and disappear completely within a week or two, leaving you to enjoy your beautiful new flooring for a lifetime. How can I make the smell in my new bamboo floors go away faster? Opening windows and letting in fresh air is the best way to help the smell dissipate faster. Installing fans in the room to help push the fumes out will also help move it along, but may not substantially shorten the process when compared to simply opening the windows. In general, the only thing that really helps with the smell is time. Giving your room adequate time to air out is the best way to ensure that you’ll be able to enjoy your bamboo floors without any smell problems. When you’re working with prefinished wood floors some smell is an expected part of the process. 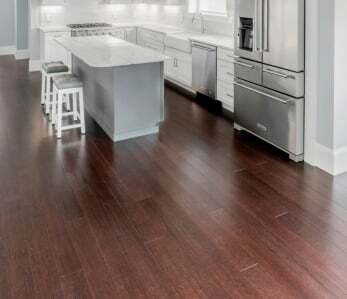 Before you know it, however, the smell will have dissipated, leaving you with a beautiful, durable floor that you’ll be able to enjoy in your home for years. Be prepared for the smell when you install your products and, if necessary, make arrangements to use that room less for a couple of weeks, especially if you or your family have allergies or sensitivities like migraines that may cause problems due to the smell. Your gorgeous, eco-friendly bamboo floors are well worth the time and effort, and you’ll quickly discover that the smell is a thing of the past. I don’t like the smell at all, and it gives me a headache every time I smell it. Is this a reason to worry? Some people are more sensitive to the smell of the urethane than others. You’ll probably notice that the smell disappears within just a few days of installation. That being said, if you feel a persistent headache and you don’t normally experience such symptoms then of course you should always consult with a doctor. 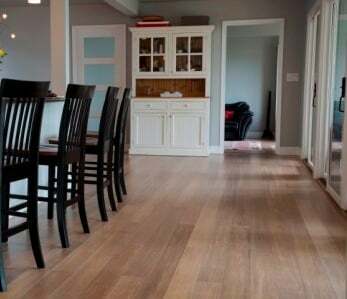 ‹ Installing Bamboo Floors Near a Heat Source or Stove? Read this.